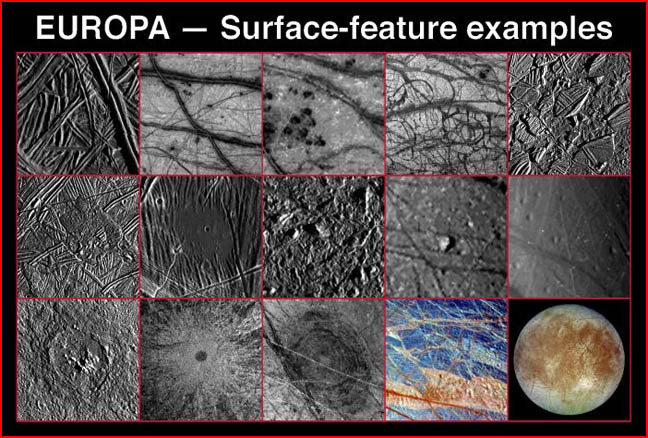 Images of Jupiter's moon Europa have sparked interest in an unusual theory. Are some celestial bodies, including Earth expanding? Or is electricity a better explanation? What is the origin of the Earth? How long has it existed? 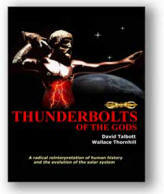 How did it come to be the celestial body that we inhabit today? These and similar questions have been on humanity's mind since we began to think. As the process of scientific investigation has developed and instrumentation invented, the structure and behavior of our planet has been deduced and theories affirmed to explain our evolution. For the past 100 years or more, scientific advancements have revealed features on Earth and other planets that seem to indicate the crust is cracking and spreading in a continuous movement. Many hypotheses have been put forward to explain the observations. In this series, we will look at two: Plate Tectonics, or sea floor spreading and the Expanding Earth. "Continental drift" was an attempt to explain the observation by many explorers and cartographers since the days of Magellan that the edges of the continents seem to fit together like the pieces of a jigsaw puzzle. In 1915, Alfred Wegener formally proposed that the continents were moving around on the surface of the earth, alternately cracking apart and crashing together over millions of years. He did not explain how they moved, or what force could be involved, only that the observations supported his contention. Over time, paleontologists found that some continents, now separated by oceanic gulfs, contained fossils on or near their coastlines that were identical. The conclusion was that the extinct animals had once lived side-by-side on one giant landmass, so the theory of Pangaea was created. Glaciers and other geological processes such as volcanic rock correspondence on continental shelves were also considered confirmations that there has been a breakup of one single continent over a long period. Later, discoveries that the bottoms of the oceans were marked with "magnetic striping" and that the magnetic poles of the Earth seem to wander from place to place and reverse themselves periodically lent credence to the theory. If the continents do not move, how did the poles move? The "continental drift" theory gradually metamorphosed into a new version in which the continents were like gigantic corks bobbing on a molten ocean. According to the theory, continents are supposedly built from lighter elements and the mantle made of denser materials - sial and sima are the two substances said to enable the continents to slide around. It is now known that the two materials are not separated in layers, but gradually merge into each other near the mantle boundary. Since the continental "roots" extend down into the interior of the Earth for upwards of 700 kilometers, the force required to move those billions of tons is so improbable that plate tectonic models have been developed that depend on unsuspected crustal "subduction zones" and not on movement (for example: Lowman, P. D., Jr. Plate tectonics with fixed continents: a testable hypothesis-I. Journal of Petroleum Geology 8:373-388). Just as with Wegener, though, evidence is lacking for such zones. In the nineteenth century, at least three different reasons for the alignment of the continents were proposed. 1. Thermal Expansion – the Earth is being heated because of its internal radioactivity, or because of some other external force yet unseen, and increases in size because of its thermal coefficient of expansion. 2. Aether Absorption – some kind of energy that we haven’t yet identified is absorbed by the Earth and changes into matter, causing it (and presumably other bodies) to expand. This theory relies on versions of mechanical gravity or Le Sage gravity. 3. Mass Creation – in an unknown process involving the creation of matter from nothing, there is an addition of material to the inner shell of the Earth’s crust, causing it to expand like an inflating balloon.